Ha, you thought you wouldn’t be getting highlights from Geek Girl In Love today! Here in my time zone, it’s not yet midnight, thus it is still Thursday, so I can truthfully say that I have your highlights on time – sort of. Holy Crap, Summer Glau can totally kill you with her brain! I LOVE batshit ax-crazy Summer Glau! Granted, it’s sad that all this ax-craziness is because she was jilted by a guy. It’s also disorienting, because I keep thinking Isabel must have had her “we were soul mates” love affair with Ollie’s Dad when she was…what, eleven? Honestly. Still, that moment when Isabel gazed at Slade with those bloody eyes of grinning insanity is one of the finer moments of my life. I intend to cherish it deep in my heart. In other news – Laurel is both dark (blackmail, which she delivers in a badass manner but which doesn’t seem like it would actually work) and sweet and mature (love the hug she gives Ollie instead of telling him She Knows). In a great mark of maturity, partially prompted by a stern chat from her dad, she doesn’t pout that Ollie kept secrets from her. Classy, Laurel. Thea, meanwhile, stays defiantly a brat and I love her for it. Please, please, show, please I’m begging you – make Thea a super villain. I’m begging, here. I’m not loving the tech twins. I’ve no doubt I’ll love them on The Flash, but their presence here feels really forced. Nor do I kill about this whole, “Let’s kill Ivo” thing. Yes, kill him, move on, this is dull. Felicity: I don’t think my eyeholes line up properly. Is anyone else having that problem? Quentin: Are you going to your meetings? Laurel: Yes, Dad, it’s where I talk about how my father’s facing prison. Thea: No, you’re my half-brother. And you know who else is my half-brother? Tommy! My half-brother who I tried to kiss! Not the greatest Arrow episode we’ve ever had, but this one had some great moments. Can’t wait for next week! 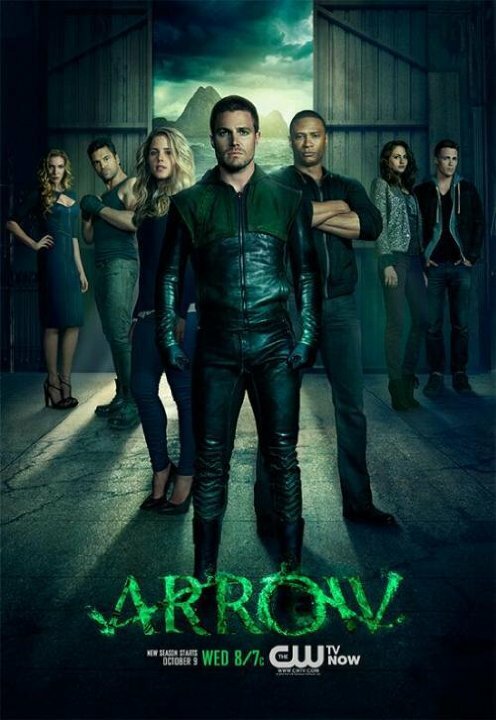 This entry was posted in Arrow and tagged Arrow, The Man Under The Hood, TV.